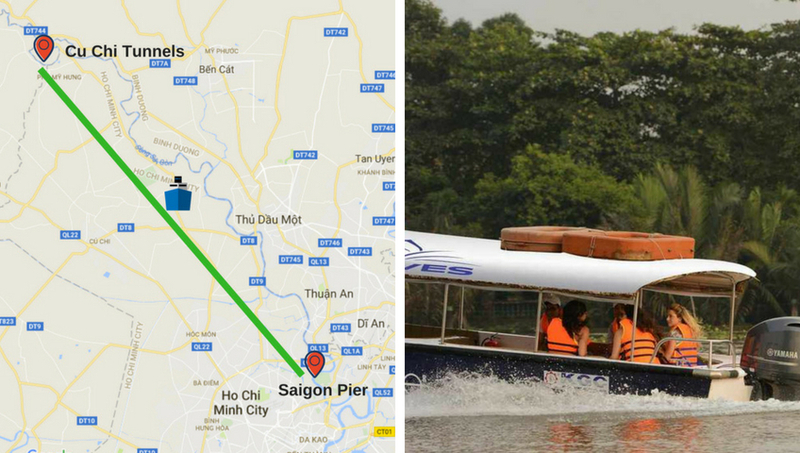 * Our speedboat will cruise along Saigon River to the Cu Chi Tunnels, taking one hour. * You will discover the landscapes along the banks on the way there or back, as well as seeing the busy streets of Saigon. * Then we will spend time to explore the maze of tunnels with countless trap doors, storage facilities, weapons factories, field hospitals, command centers, kitchens, and more. Besides, we will enjoy the most popular food during war days at Cu Chi tunnels – the cassava. 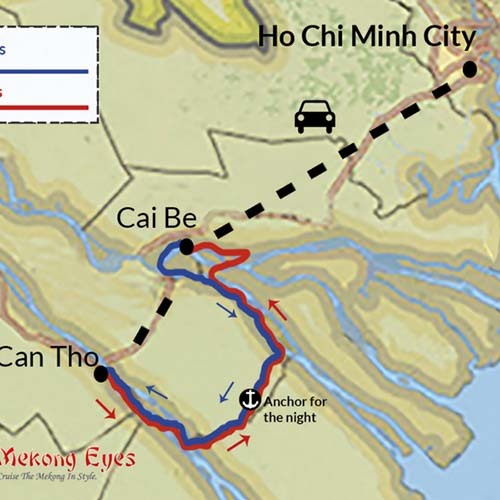 * On the way back, we will drop you off at War Remnants Museum, Ben Thanh Market or your hotel in Dist.1. lunch , unlimited refreshments and local fruit, English-speaking guide, entrance fees, hotel pick-up& drop off.